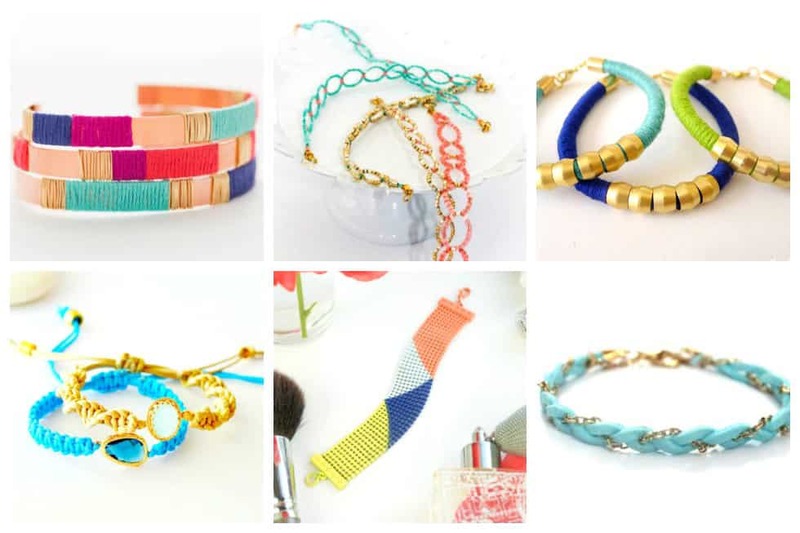 The summer is a perfect time to go sleeveless show off all your cute and colorful bracelets. 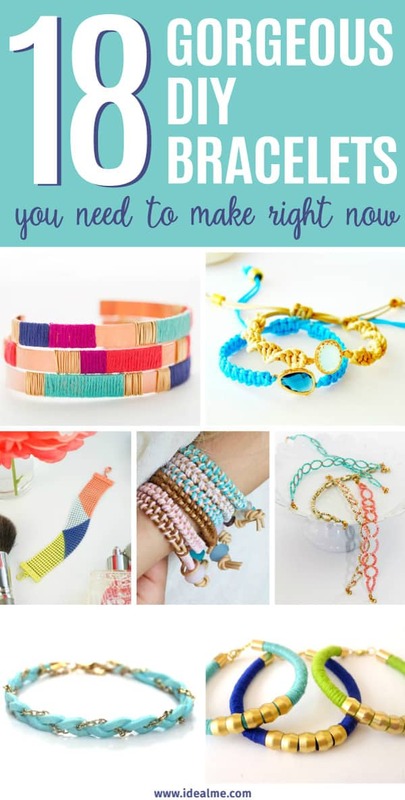 If you don’t already have a dresser full of bracelets to choose from, making your own bracelets are easier than you think. Why spend a fortune on bracelets when you can whip up something gorgeous in less than an hour. 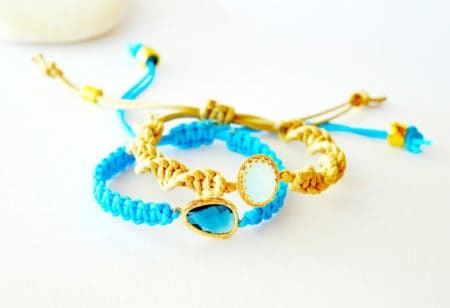 Check out these great tutorials we’ve found – 18 DIY bracelets you need to make right now. 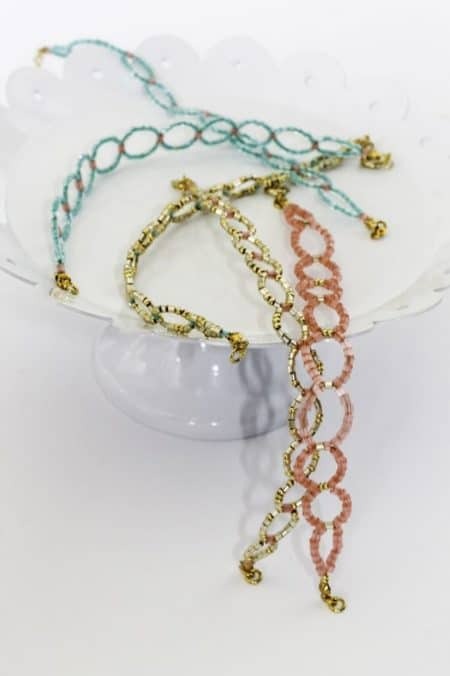 Here’s a great combination of oh-so-hot-right-now copper with bright and fun embroidery thread to make something fun and stackable yet surprisingly grown up to gift to our favorite ladies (or keep all to ourselves). 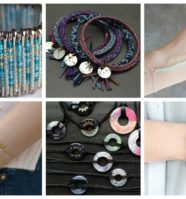 Why not dust off those pieces and turn them into colorful and modern statement jewelry to accessorize your wardrobe for fall? 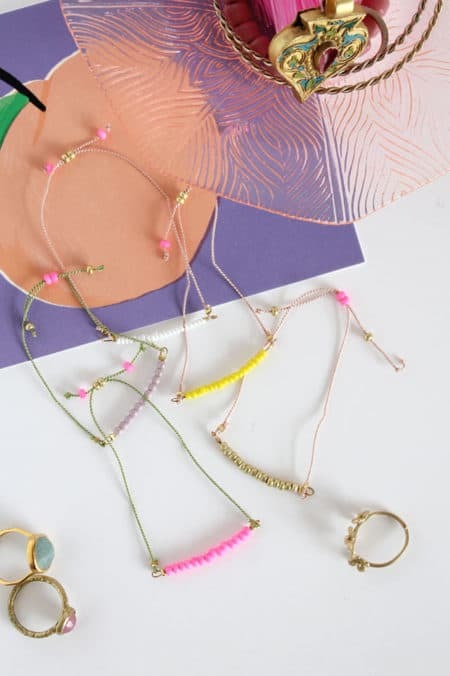 A little spray paint and painter’s tape team up here to create geometric color blocked jewelry you’ll actually want to wear again. 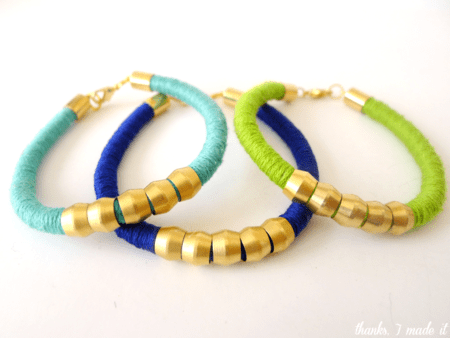 Use silk cords to give these bracelets a luxe touch. 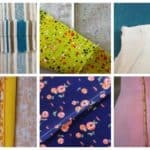 The colors of these silk cords are so pretty, you really don’t need much else to make them look lovely. There’s something about tying knots that is so relaxing! If you haven’t tried it please do! 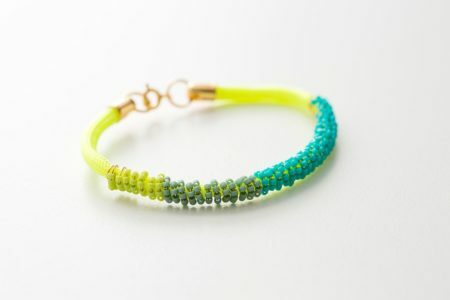 Add some glass connectors in bright colors and you suddenly have a very classy bracelet! 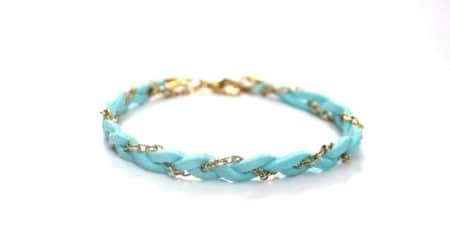 Grab some brass compression sleeves in the plumbing section of the hardware store and soon you’ll quickly be whipping up tons of these awesome bracelets. 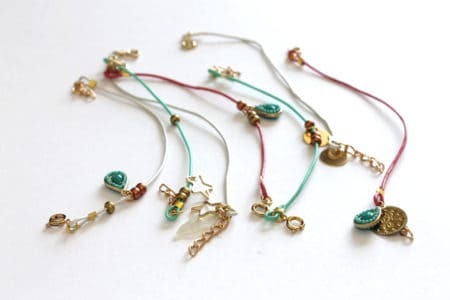 This bracelet is a wonderful handmade gift, and you could easily play around with different combinations of colors and chains for different looks. 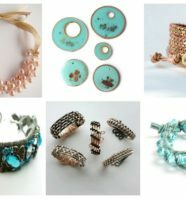 This is also a great project for someone just learning to make their own jewelry because you only need a couple basic tools and pieces of jewelry findings. Here’s a really simple tutorial, perfect for using up bits and pieces you have in your craft supply box. 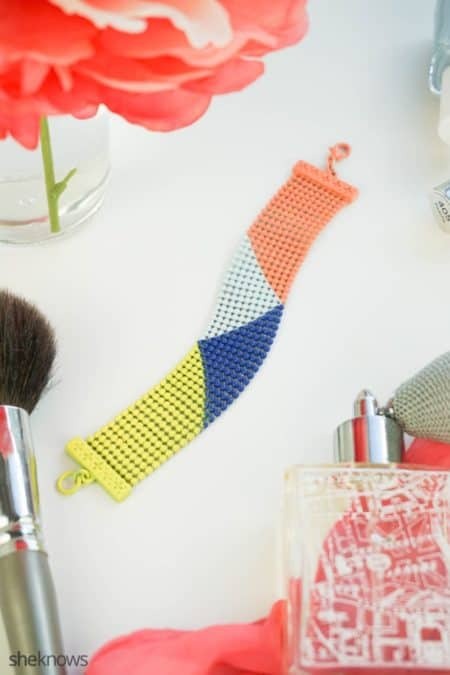 Learn how to make some fun seed bead bracelets with paracord that your friends will love. Super simple, very easy, and great way to utilize pretty beads. 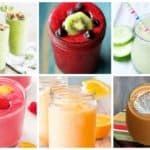 It’s so fun coming up with different color combinations. 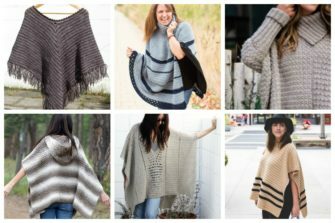 Instead of letting the paper sit around rolled up in a basket by your desk, why not wear it with you everywhere you go?! 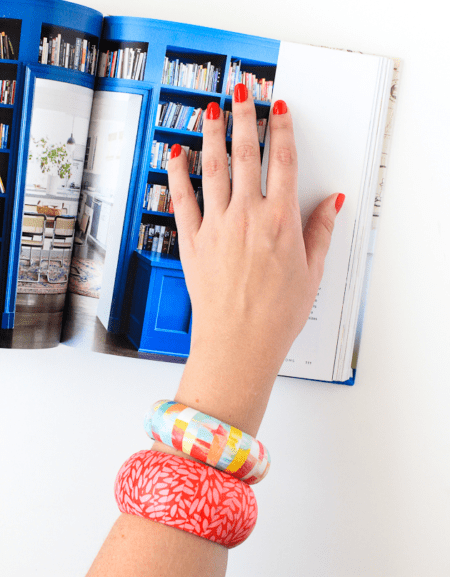 Here’s how you can make some paper wrapped bangles for yourself and everyone you know. 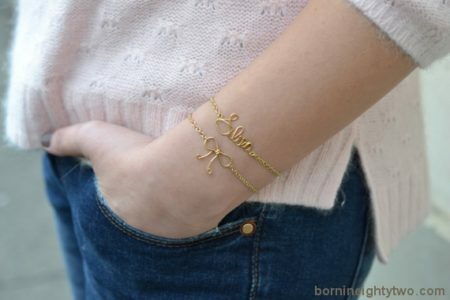 Learn how to make a beautiful, hand stamped piece to wear! Metal stamping really is simple and totally doable, all you need are a few basic tools to get started. You just need is a gorgeous druzy stone to make this stunning chain bracelet. This project’s a bit special because there are many words that you can write, not just your name. 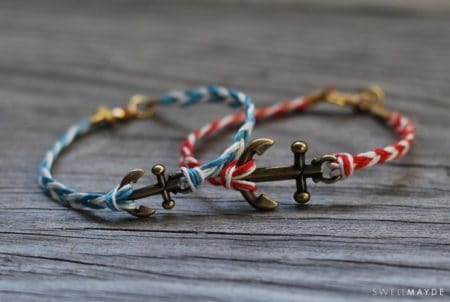 Mix a nautical inspired fishtail braid with the anchor for this bracelet DIY. 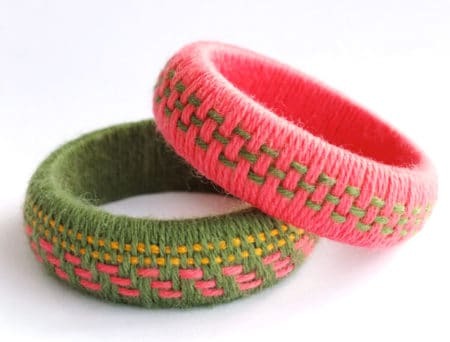 You’ll have so much fun weaving these leather bracelets that you won’t be able to stop making them. 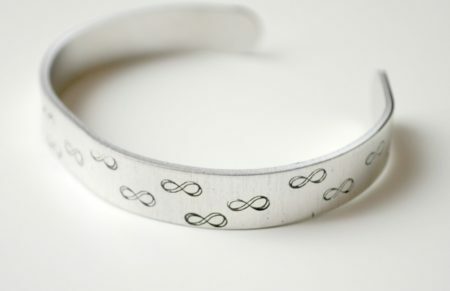 Well, this is probably one of the easiest DIY bracelets I’ve made. And mighty cute one too! When it comes down to it, all this bracelet involves is tying 4 little knots in the right place! 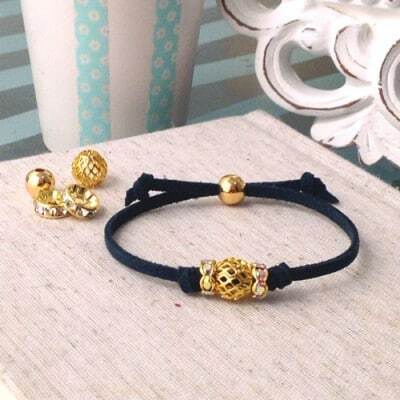 If you like to mix and match your bracelets then these will look great worn together. 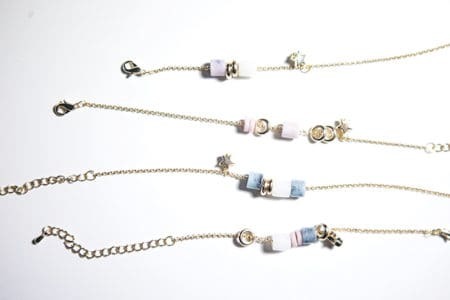 if you’d rather prefer to keep things simple, one individual bracelet looks fab too. 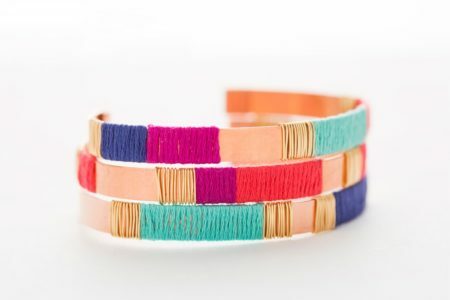 These bangles look great worn as a stack, so make a few that coordinate together. 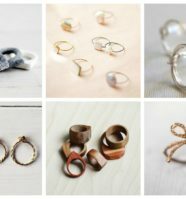 If you can’t get wooden bangle blanks, you can buy plastic bangles at the thrift store and refashion them. With all these great choices, what bracelet will you make first?